Charm bracelets are the perfect accessory to show off a person's personality and have been for centuries: the oldest known charm bracelet is 75,000 years old. Charms as a fashion item were popularised by Queen Victoria over 100 years ago and have been a much-loved modern jewellery piece for some time. We've highlighted six of our favourite designer charms, which are great as gifts for a loved one, or even as a special treat for yourself. Who doesn't love Snoopy? The black and white beagle and his best friend, the yellow bird Woodstock, have remained iconic and much-loved since their appearances in the Peanuts comic strip, which appeared in The Daily Mail in the UK. 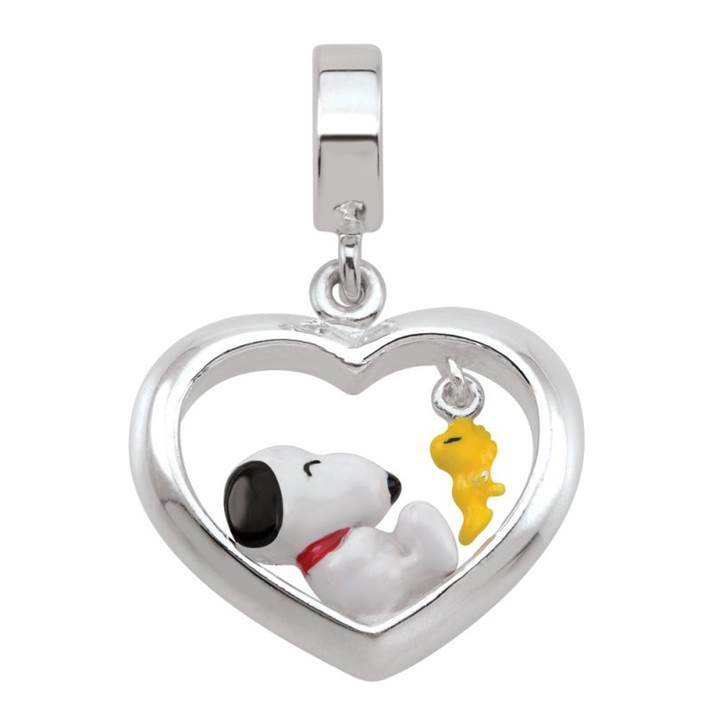 The Persona Snoopy heart charm (RRP £60) recreates these beloved characters in sterling silver. Snoopy and Woodstock take on their classic poses and will suit someone who is always young at heart. The heart design is a classic means of bringing personality to a selection of accessories, from necklaces to earrings and, in this case, even charm bracelets. 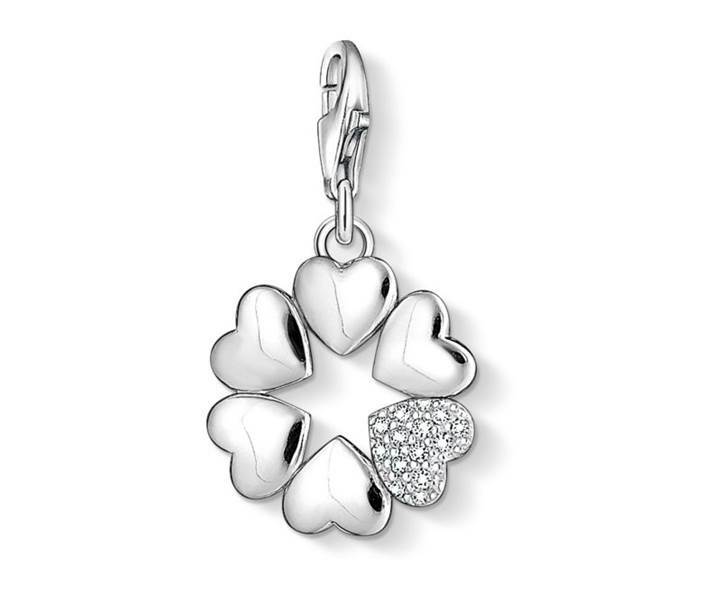 Show someone how much you love them with the Thomas Sabo Hearts charm (RRP £45), featuring six delicate hearts, one of which is encrusted with sparkling gems. This is a classic charm design which will be treasured for years. 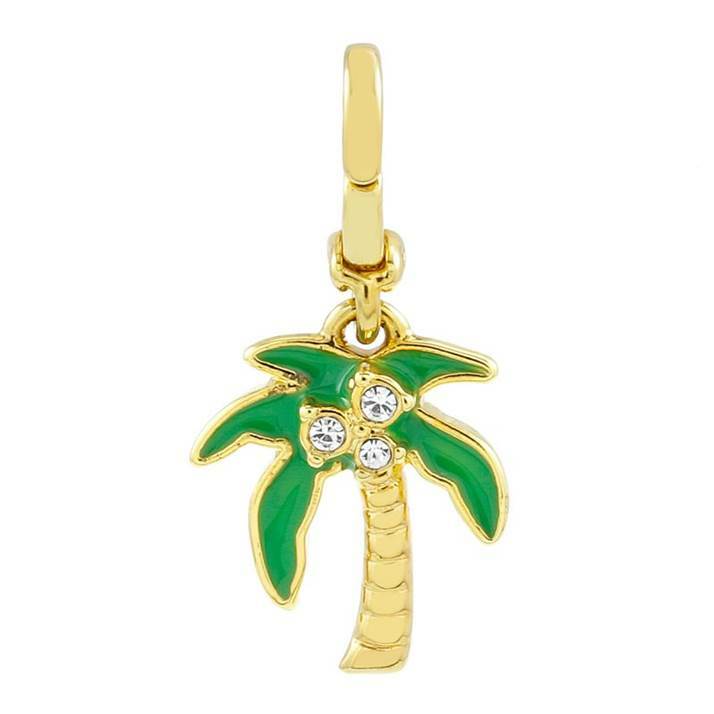 Take that image with you wherever you go with the Juicy Couture palm tree charm (RRP £40), a cute, colourful and super girly charm. With three gems, placed like coconuts, to make the charm sparkle, this fun charm will liven up any bracelet. Music lovers rejoice, as there is finally a way to wear your number-one love on your sleeve. 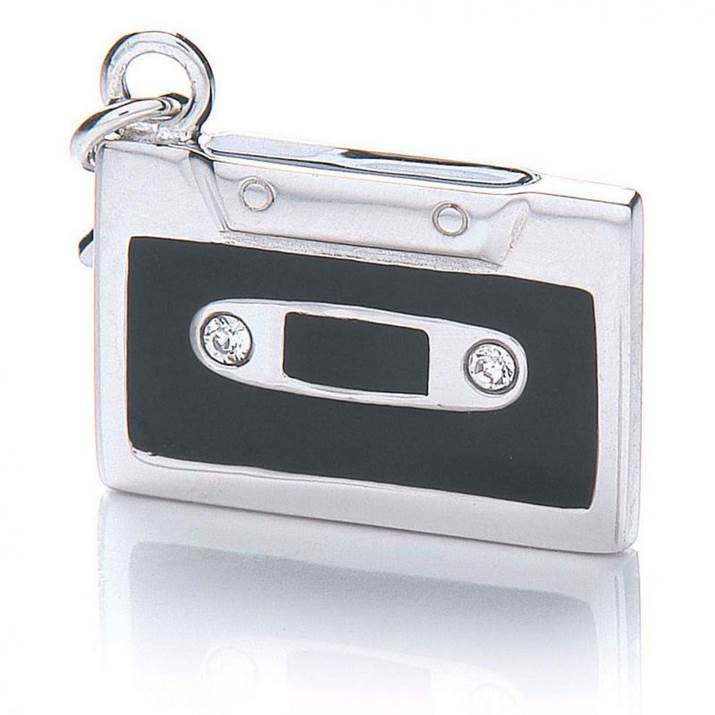 Taking inspiration from the days of analogue, the Royal London tape charm (RRP £19.99) is an adorably 1980s-inspired charm that will suit any music fan. The subtle colouring and gemstones add a hint of glamour, but the quirky design of the charm adds a homespun edge, that anyone who compiled personal ‘Best Of…' mixtapes will enjoy. Everyone knows a woman who loves to take pictures to remember special occasions. Tell your friendship circle's dedicated photographer how much you appreciate her efforts with a special charm that perfectly reflects her interests. 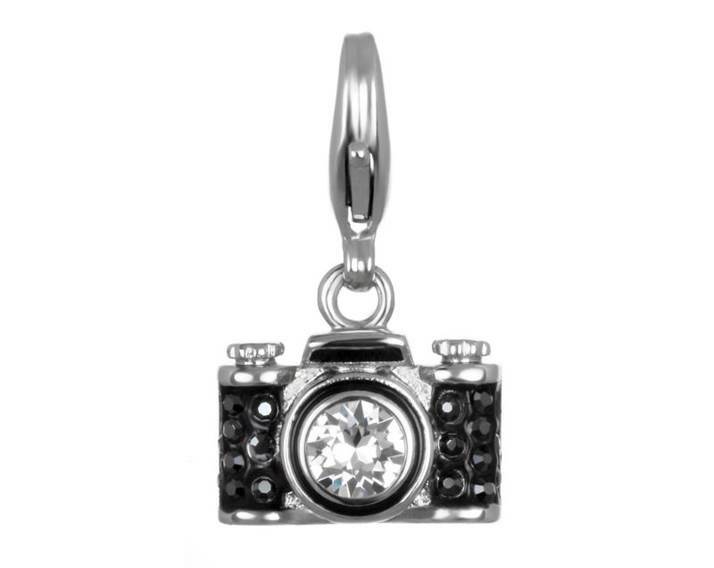 The Karl Lagerfeld camera charm (RRP £39) features silver and black gems encrusted onto a tiny camera-shaped charm, to recreate the effect of a camera's flash. 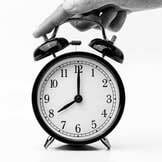 If your loved one truly believes in fate, and is something of a dreamer, let them show it. The Thomas Sabo star sign coin charm (RRP £139) is a beautiful ornate charm that's ideal for really special occasions. 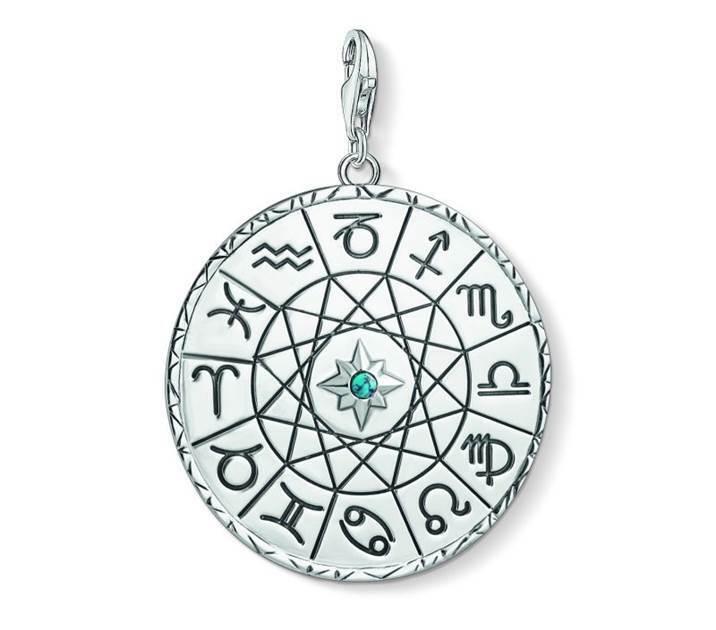 Made of sterling silver and engraved with each of the star sign symbols, the charm is finished with a turquoise gem in the centre, to add just a touch of colour to the design. Charms and charm bracelets make fantastic gifts that can always been added to throughout the years to reflect the wearers personality and interests. 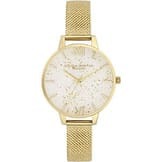 Browse the full selection of bracelets for women with designer brands at Watch Shop.